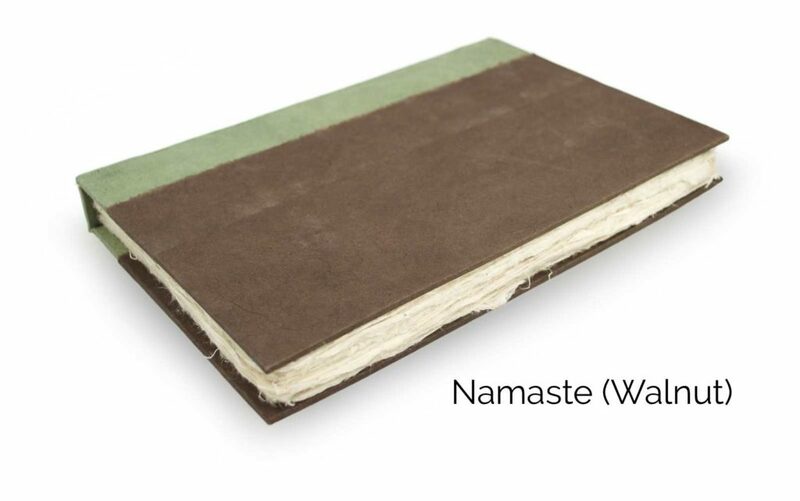 The newest Vegetable-dyed journal is our larger 6×9 inch Nepali Namaste Journal. This journal is perfect for meditative thoughts. Take a moment to relax and acknowledge the divine within others and within yourself. 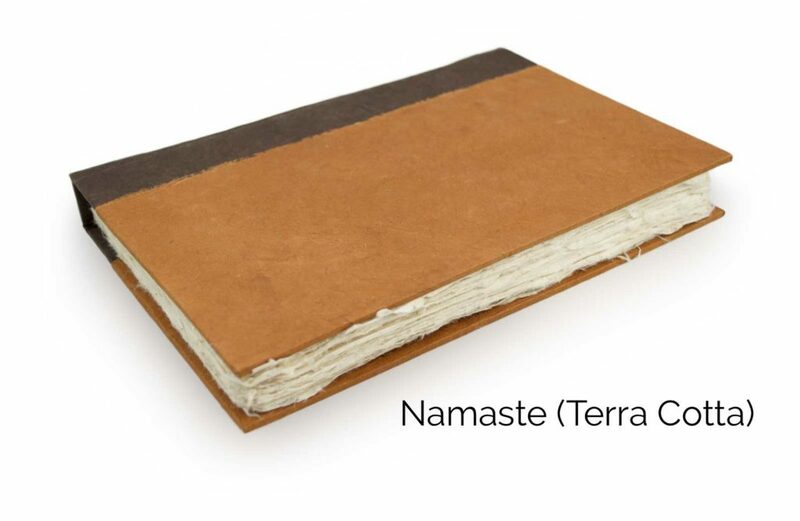 The Namaste 6×9 Journal gets its naturally covered covers from vegetable-dyes such as pomegranate husks & indigo (Sage), black walnut husks (Walnut), and Cutch wood resin (Terra Cotta). 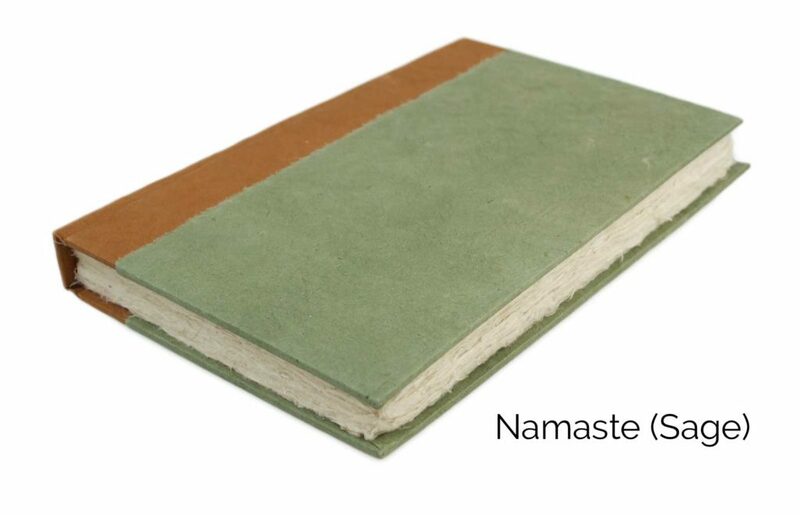 The deckled edge paper (similar to rough cut), is produced by hand in the Himalayas of Nepal. Cuttings from the lokta bush are cooked into a papery pulp. The fibrous pulp is spread by hand across boxed springs and set to dry on the mountain side. The fibers fuze together creating one of the world’s finest handmade papers. Please visit our Nepali Namaste Journal page here.